It is possible to enjoy your favorite Japanese dish from the comfort of your own home. You can now satisfy your cravings by giving yourself a spoil in form of a teppanyaki dish. The results you will witness when you prepare your favorite steak or shrimp using a teppan (teppanyaki grill) will leave you anticipating for a next time. My favorite tabletop grill is the NetSC19 Teppanyaki grill. I’ve been using it for a while now and really liked that one to. So you could check that out as well. Also, if you’re thinking about getting more serious in teppanyaki and want to make it more often (not just at parties at the dinner table): I just got the Everdure Furnace stovetop grill and it’s amazing how much you can prepare with it. 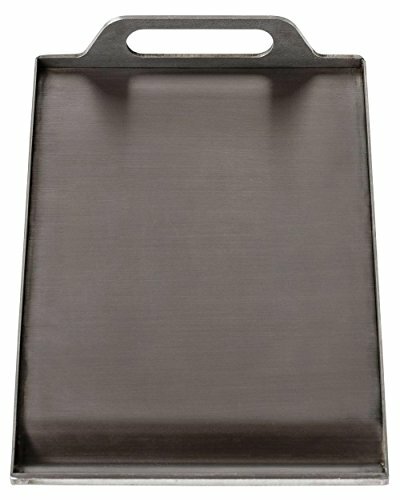 What is the best Teppanyaki Grill I can buy? So, what is a Teppanyaki grill plate? 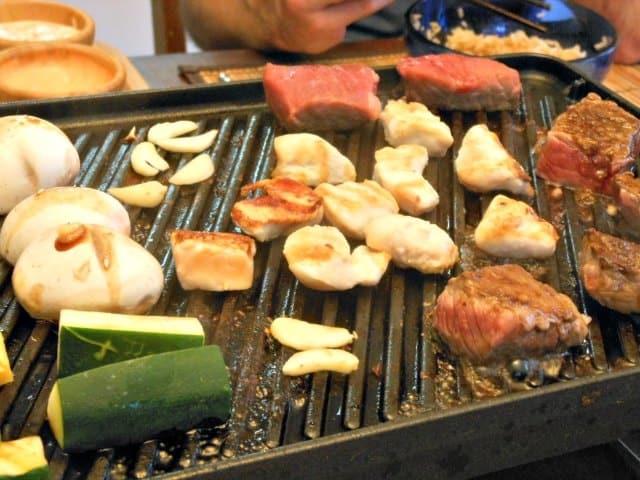 A teppanyaki grill plate is made from iron and is a common component of the Japanese cooking blueprint. You will definitely notice how teppanyaki meals stand out from others thanks to their wholesome and delightful nature. They have become a major point as far as tourist attraction in Japan is concerned. The site of marinated meats, vegetables or fish on sizzling hotplate makes the Japanese style of cooking noticeable anywhere in the world. Teppanyaki grills are an important factor to give some thought when on a mission to come up with a teppanyaki dish. There are varieties of teppanyaki grills in the market and you would want to make the best choice for your money. Below are five of the teppanyaki grills that stand out from the rest, and should worth every dime. I’ve tried different kinds over time and I myself really love the Andrew James table grill ever since I got it off of Amazon. 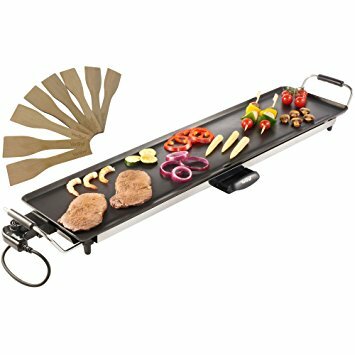 The Netsc19 Electric Teppanyaki Table Top Grill Griddle is ideal for anyone who loves BBQs, prepare breakfast, and nutritious food without any struggle. The griddle is portable and it perfect for anyone on the move. This makes it ideal for camping purposes. One notable thing about this grill is that is it browns your meat and vegetables while still keeping it cooked and moist on the inside. Its surface makes it easy to clean the grill, with just quick swipe on the grill’s surface. So, you shouldn’t hesitate on buying this grill, especially if you love camping. The Furnace Gas Grill Teppanyaki Plate that is provided by Everdure offers one Teppanyaki plate made of premium stainless steel. In addition, it also comes with two spatulas to assist you in cooking. The Kokomo grills come with a large cooking surface that allows you cook all your meals at the same time. The grill is welded across its bracing, which improves its stability. In addition, its sidewalls help in containing food inside the grill as you cook. This means you don’t have to worry about food falling as you cook. Also, the grill comes equipped with a drip tray, which captures all the fat and oil as you cook. 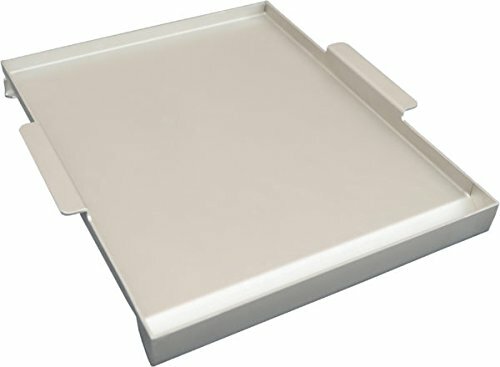 The drip tray helps in ensuring that you don’t mess your kitchen or yard with oil. One notable thing about the grill is that you can easily remove or add it depending on what you are cooking. The grill has an even performance, which ensures evenness heating of the grill, be it at the highest or the lowest temperature setting. The grill has thermocouples, which are used to preheat the griddle, and ensure even heat distribution. The grill’s preheat performance determines the temperature of the grill after preheating the grill for 10 minutes. This happens through thermocouples. In addition, it helps you to know how fast the grill can reach its maximum temperature. The grill’s temperature range assists in reflecting the width of the grill’s temperature span. This happens through the comparison between low setting and high setting using the grill’s main burners. The Costway Teppanyaki grill comes equipped with two nonslip egg rings as well as eight wooden spatulas. This means, you can cook all you favorite food on this grill with the assistance of your friends and family. In addition, the grill has an extra-large cooking surface, which is enough for a person hosting parties or guests gatherings. Another notable thing about this grill is its nonstick surface, which means you will need little or no oil while cooking. Additionally, the grill is equipped with a drip tap that assists in draining excess fat or oil while cooking. As a result, the Costway grill assists in ensuring that you cook low-fat and healthy meals. Furthermore, its non-stick surface makes it easy to clean your grill after you finish cooking. One interesting feature about the Costway Teppanyaki grill is its adjustable thermostat. The thermostat has 5-temperature setting, which allows you to cook food using the ideal temperature needed. Therefore, you don’t need to worry about cooking different meals like vegetables, beef, fish, and chicken since there are temperature settings for all these meals. With this grill, you will be able to cook every food into perfection. The grill comes with insulated handles that allow you to move the grill around your backyard, kitchen or garden without any problem. These handles ensure convenience and safety when handling the grill. 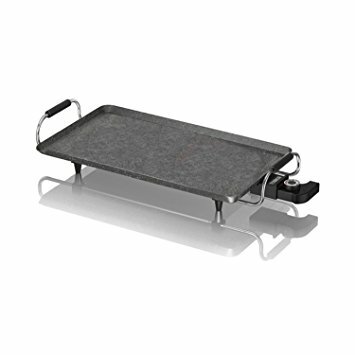 Additionally, the grill is fitted with non-slip leg pads that assists in ensuring that you don’t damage your cooking platform when operating the grill. 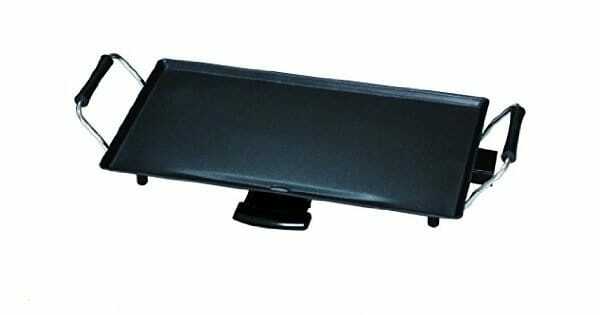 Furthermore, the non-slip pads ensure the stability of the grill as you cook your favorite meals. Mark my words: best for your garden and home and this is probably the one I used first. It is very suitable for house parties and transportation is never a problem. Its surface is flat and perfectly adapted to cooking various dishes while retaining as much moisture as possible. Multitasking is made possible due to ample cooking space. To add on top of that, the cooking station is made of non-stick material. The cooking center is easy to clean, attributed to the non-stick plates and an oil drip tray. Top quality heating elements and cool handles are also incorporated within the make to have a better grilling experience. For quicker cooking, this is the one to go for. All the Teppanyaki grills highlighted above are good. However, you need to check whether the grills can be used both indoors and outdoors. In addition, you need to check other features that make it easier to use the grill. However, the main determinant of the best Teppanyaki grill that you can buy is the cost. Which Teppanyaki grills didn’t make the top 5? You can easily cook your desired Japanese food from your home, thanks to easy accessibility of Teppanyaki grills. Therefore, you can prepare the Teppanyaki dish of your liking when you want to entertain your guests or gratify your cravings. One thing you need to understand about Teppanyaki grills is that they will always give you exceptional results, and you won’t regret cooking your food using a Teppanyaki grill. VonShef Electric XXL Teppanyaki style table grill provides you with a unique dining moments at home while giving you a great cooking experience. It suits any kind of approach, whether it is frying for breakfast or grilling meat. It enables you to easily cook a variety of dishes that suit your mood. The versatility that comes with this particular grill enables it to cook different varieties of dishes. Whichever meal you decide to make, be it meat, fish, or vegetables, you are guaranteed to have both a great cooking experience and a mouth-watering dish. It is characterized by a non-stick surface and adjustable temperature control which enables you to cook to perfection. 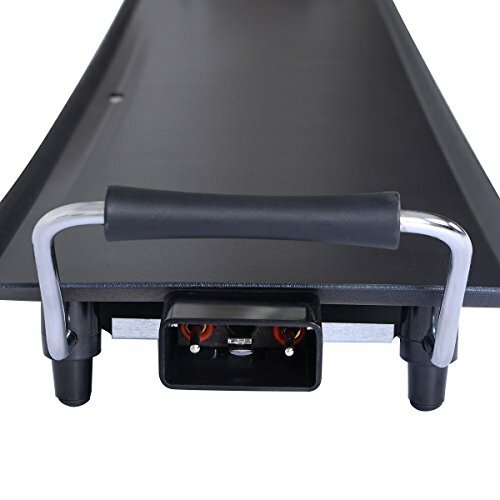 It is slim and relatively light making it easy to move around with. Moving it from one point to the other, let’s say from the dining table to the cabinet, is easy. Its non-stick feature makes it easy to clean the 3mm thick aluminum plate. If you like a slim grill everyone can cook on, you can check it out. This is one of the grills that most people can admit is worth their money due to its ability to accommodate large amounts of food at a go, thanks to its large size. This grill is perfect for conventional Japanese cuisine. It allows for multiple cooking due to the wide cooking surface at the top, and can prepare various kinds of food. It is very hard to go wrong with this grill as the taste outcome is splendid. The Kingavon Teppanyaki Grill is the best companion for people who have a thing for outdoor events as well as at home as it is very portable with sturdy stainless steel handles that are well insulated. With no difficulty in transportation, you can thus enjoy the Teppanyaki grill wherever you want to. Another huge plus to this Teppanyaki grill is the oil drip tray which means that food prepared will be very healthy and free of excess fat. Because of the ease of use, it is worth a look here. The Tower Cerastone Teppanyaki grill adds inventiveness with spices and flavors. It is a bit more expensive here on Amazon but it has a generous cooking space, 46 cm to be exact, has an adjustable thermostat, a non-stick ceramic coat and can facilitate cooking a variety of meals for domestic and social purposes. Minimal time is spent on cleaning and the rest, eating. This is made possible by the non-stick coating that only requires a simple wipe. It is also equipped with an adjustable thermostat that alters the temperature at which you prefer to do the cooking. With this grill, there is absolutely no need for oil thus the assurance that you will eat your favorite meal completely free of fat. The touch handles can make the grill be placed on table tops. Tower Cerastone Teppanyaki grills are made from long lasing aluminum and it will withstand the test of time. Andrew James Electric Teppanyaki Grill is definitely worth mentioning. It supplies 2000W of power and comes with eight wooden spatulas, enabling everyone to prepare his or her own meal. It has a non- stick feature that requires that you use the lowest amount of oil possible when preparing your dishes. So it does not only make you get together worthwhile, but also encourages healthy eating habits. Andrew James Electric Teppanyaki Grill contains adjustable thermostat with six settings that will enable you to tailor down your cooking, just the way you want it. You can bring your cooking to perfection by grilling vegetables, meat or fish on its large, non-stick plate. 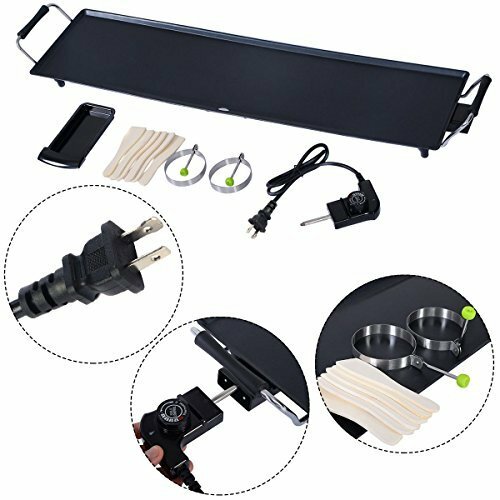 It is light and portable making it suitable for any kind of setting, be it on holiday or just a backyard get together with family or friends. Cleaning the grill after cooking is relatively easy. A simple wipe with water, especially warm water, is enough to give it the desired cleanliness. It’s the one I bought when I first started out with Teppanyaki cooking and I’m loving it still. There are a list of factors that need some consideration before making a purchase on a teppanyaki grill. You have to know how, where and what you will be cooking with your grill. With all these factors, you should always choose a Teppanyaki grill that promises to perform. Size: it is important to choose a grill that is of the right size. Go for a grill that corresponds to the quantity of ingredients and the serving size. Do not buy something for a big group when you will only use it to grill for family. Cleaning: cooking and eating is always enjoyable. However, the difficult task is removing the remnants left on the grill after cooking. 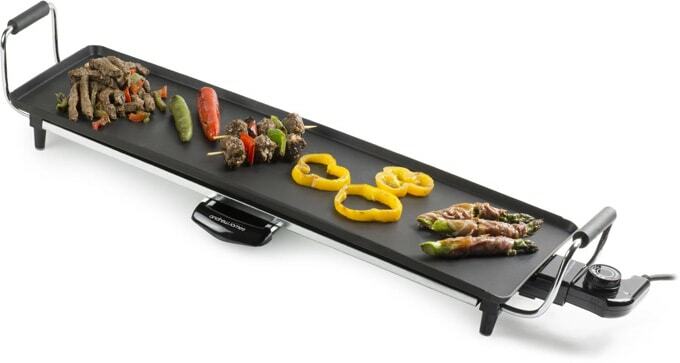 Choose a Teppanyaki grill that is easy to clean and store to save up space. Temperature control: having absolute control of the cooking temperature is a must. Check whether the temperature of the grill can be modulated to have food prepared to your own specifications. High heat: cooking meat dishes requires the outside part to be brown while having the inner meat well-cooked. Even on thin steaks, the grill has to be adequately hot. Charcoal grills are the best since the source of heat are just below the cooking center. Gas grills only attain such heat if they are equipped with infrared or sear burners. If you prefer gas grills, those are features that you should add into the grill. The distance between the source of heat and cooking surface matters. Charcoal grills perform better when closer but gas burners close to the surface and far apart will lead to hot spots. Material durability: only the best grills are made from cast iron, powder coated steel, vitreous enamel bonded steel, cast aluminum, and premium stainless steel. Heavy steel is impressive when it comes to heat distribution. Regular steel and cast iron are prone to rust. Painting with high quality heat resistant paint is an option although the paint can chip and peel off easily. Power: electric countertop models have a standard outlet and are useable with power inverters and portable generators. Range models do not have an inbuilt source of power. They require heat from electric or gas burners, and thus induction grills cannot be suitable with such indoor grills. Safety: for minimal accidents, the Teppanyaki grill has additional components added to it. The surrounding fabrications are items that are tolerant to high heat. The electric cords are removable and this eases transportation and cleaning. Also, the handles, lids, and covers of some indoor grills are well insulated to prevent burns. Indoor grills are also similar to outdoor grills and can serve people as well excluding the ability to cook in outdoors weather conditions. Some models are also similar in function and look as outdoor grills as much as possible. If using an indoor grill, regardless of the make, all food prepared is less in fat than other methods of cooking. You can check some out for yourself here on Amazon if you haven’t made a choice yet.